The Second Cup Coffee Company Inc. (“Second Cup”) continues to build its global presence. As part of its continued global expansions strategy, Second Cup today announced plans to open four new locations in Morocco Mall, Casablanca, Morocco with its Regional Franchise Partner, Groupe Amarg, a company led by Mr. Zouhair Idrissi. The Morocco Mall is the newest and largest shopping mall project across North Africa. Taking advantage of a strategic location of 24.71 acres along the Atlantic Ocean, the site promises to become a destination for an anticipated 14 million visitors annually. “Second Cup believes that having strong local owners as operators is instrumental to delivering a superior guest-experience. We are fortunate to have franchise partners who share our passion for the coffee business and are fully aligned with the Second Cup vision. Our franchise partners are selected on the basis of their business acumen, passion for the coffee café business and customer service, local relationships and entrepreneurial spirit,” said Ragas. The Second Cup coffee Café concept originated over 36 years ago in Toronto, Canada. Second Cup’s international expansion started in 2003 and has opened cafés in Dubai, Abu Dhabi, Syria, Jordan, Bahrain, Qatar, Oman, Saudi Arabia, Egypt, Kuwait, Turkey, U.S.A., Cyprus, Romania and Lebanon. Second Cup café operators are committed to serving the best coffees in the world in an inviting ambience with uncompromising standards of customer service, product quality and freshness. Second Cup cafés are located in 16 countries worldwide with 62 operating internationally. Second Cup cafés offer a variety of innovative and exclusive blends, espresso-based beverages and iced drinks, signature foods, indulgent treats and premium beverages in a warm and comfortable setting. 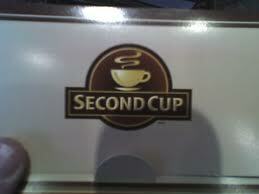 Second Cup is actively seeking new regional franchise partners for additional countries.